If you have not already done so we have setup a link for all of the Cyanogen mod to take place onto your Ouya known as “cyanouya.zip”. Click here or on the Download icon to the right to begin downloading the .zip file (approximately 314mb in size). As a note we will be referencing this download file similar to how it is referenced in the CyanogenMOD tutorial in an effort to maintain consistency. 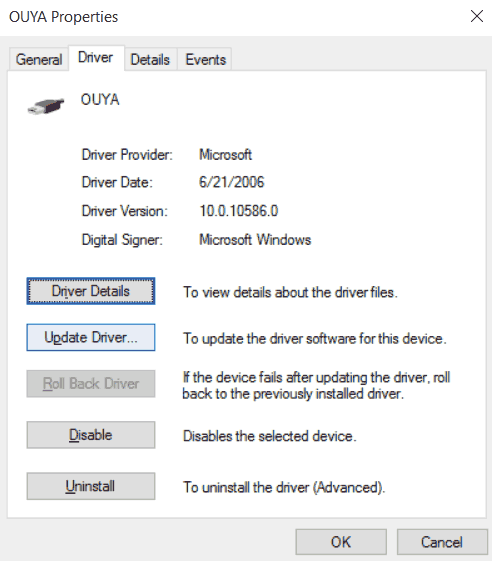 The first thing that you’ll notice upon plugging in your Ouya NOW with Windows 10 64-bit is it no longer goes underneath unknown devices catagory anymore. 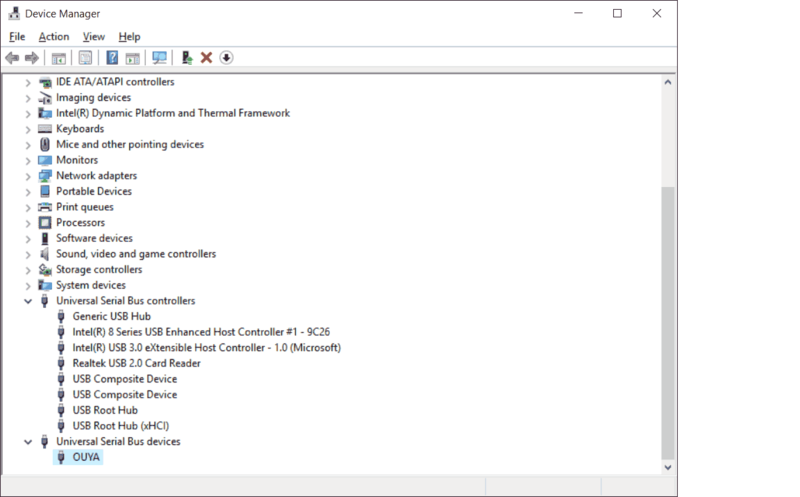 But it instead goes underneath the “Universal Serial Bus Devices” section of Windows 10 and the “OUYA” is placed underneath there inside of some quasi-generic-driver that Microsoft encapsulated the hardware in to prevent this hardware ID from showing up in the logs that they are constantly sniffing off of your PC. What? Did you really think a free OS was going to come with privacy? Not from Microsoft it will! Also noted that you will find an “Ouya MTP” underneath the “Portable Devices” catagory. But that is not what we want. That only handles the ability to transfer files back and forth via explorer if you have an android device like the Ouya Hooked up. If you right-click on the OUYA and pull up its properties , then go over to the details and and click on hardware IDs. 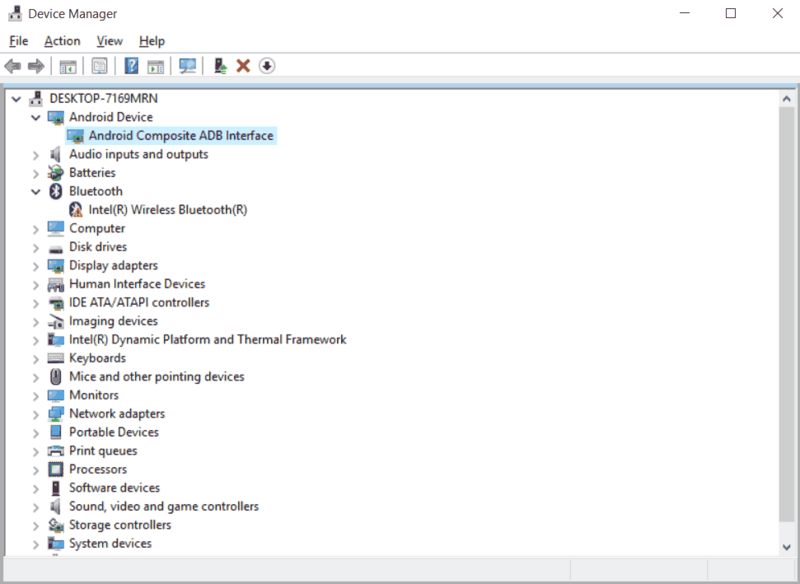 You get confirmation that this is indeed the ADB bridge we are looking to install as it will give you a device hardware ID of USB\VID_2836&PID_0010&REV_0232&MI_01 . Thanks S, I can just go back to the tutorial and install the driver now that I know where it is right? Not so fast! If you attempt to install the driver in the mode that it is currently in right now Windows 10 x64 bit will instantaneously reject your file! This is part of a new security effort Windows 10 has put into place over the drivers that it accepts within Windows. Any and all modifications to the .inf file will result in an error displayed above because windows believes that people like me are behaving in a malicious way and rather then allow the user to trust weather or not I am Microsoft thinks that you are not smart enough to know any better and makes that decision for you. How do we get around this S? There will also be a “disable.bat” script you can run as administrator in the C:\cyanouya\win10 folder of cyanouya.zip to help automate this process. Upon the passing of the last commands you will be greeted with this message asking you to shut down and save your work. Also note that I will be placing a “Disable.bat” file into the cyanouya.zip file that you will be downloading on the Cyanogen Tutorial. Upon restart you will see a water mark in the corner of your screen indicating that your OS is in ‘test mode’ meaning it will accept any driver that you give it. 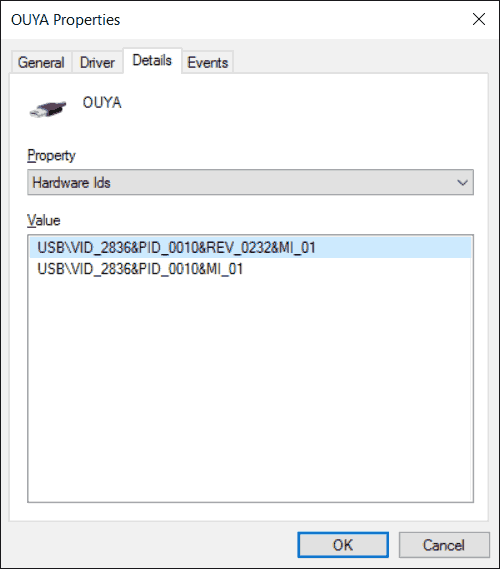 We can now go back into device manager and right-click on that “OUYA” we tried to install earlier and click Properties. 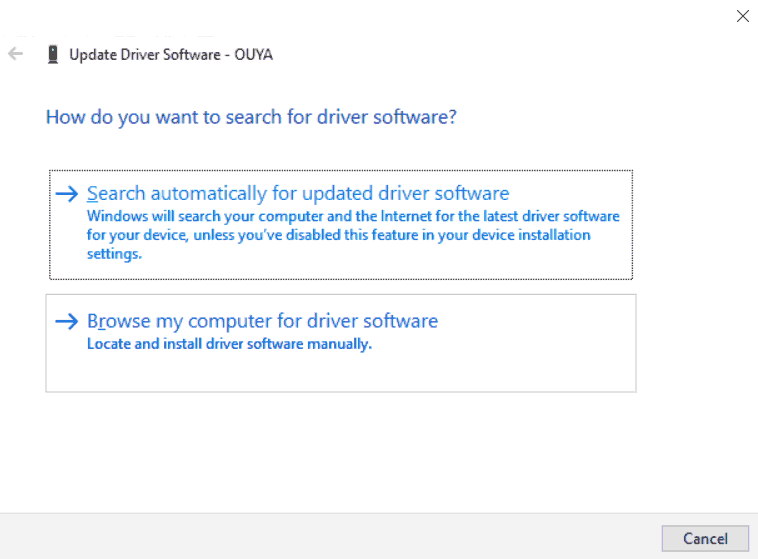 The search automatically will not work because Windows 10 will simply pick the quasi ADB driver that Microsoft made. We will want to Browse my computer for the driver. 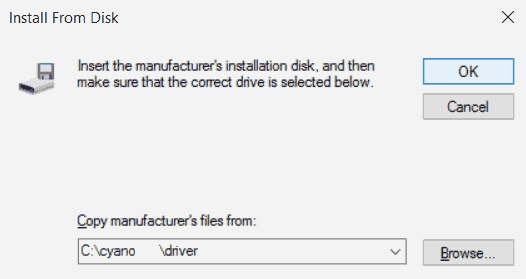 Click on the “Have Disk” button to continue. Either type in C:\cyanouya\driver\ or click the browse button to locate the folder C:\cyanouya\ is extracted to and click OK.
Android Composite ADB Interface will be the only one selected. Click next to continue. Instead of erroring out it will now come back with something a little more firmilliar . A warning from windows stating that it does not trust what you are doing. 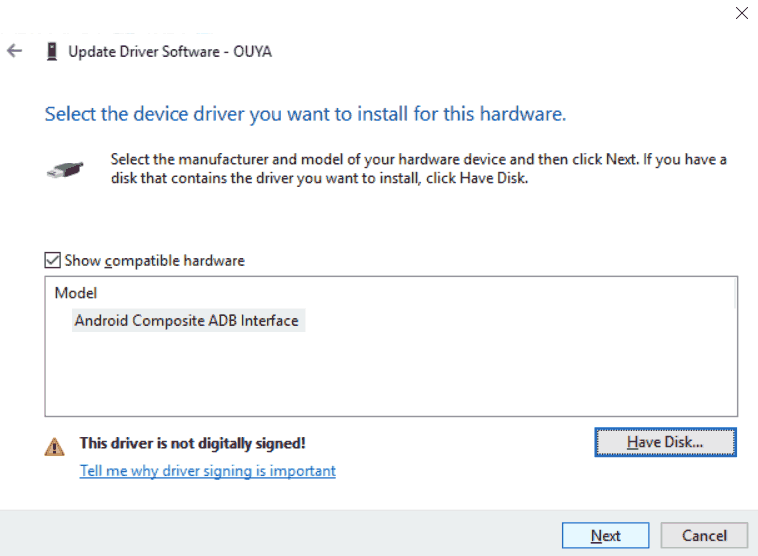 Click “Install this driver software anyways.” to continue installing the ADB driver. Now that the Android Composite ADB Interface is installed we can now ADB into our Ouya with the new ADB driver to make sure everything is working good. Because of the modifications I made in the .inf fastboot should immediately come back into your device manager as “Android Bootloader Device” underneath the “Android Device” Catagory. In the event that it does not. 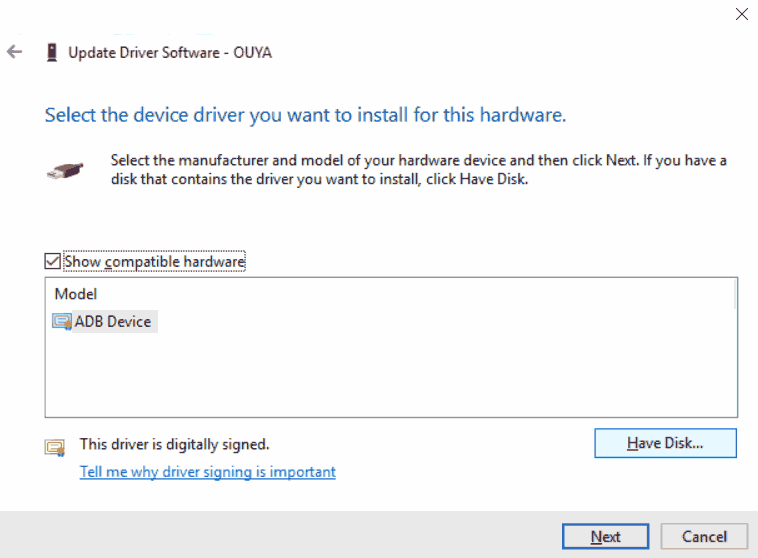 Repeat the following steps above to install the driver. Getting your system out of test mode. There will also be a “Enable.bat” script you can run as administrator in the C:\cyanouya\win10 folder of cyanouya.zip to help automate this process. This will remove the watermark at the bottom. However, the android driver will stop working as the driver does not have a public key on a trusted domain authority to verify against. In most situations this is not a big deal because upgrades, installation, and general file maintenance via ADB can be done over the network within Cyanogen . Keeping test mode on while removing the watermark. A highly recommended application is called universal watermark disable for those who want to keep their windows 10 box in test mode. It will remove the watermark that Microsoft insists that you have. As for the overall saftey of keeping Windows 10 in test mode really is up to the user. It feels more like the security of Windows 7 instead of having some overbearing company telling me what we can and cannot install onto my own PC. There is probably more security concerns then that but for now I will simply state that is could be a risk to keep your PC in test mode all of the time. Like my XBCD blog. unfortunately I can’t because that actually costs money to have a domain trust authority with a company such as verisign or godaddy in regards to holding up a yearly fee. 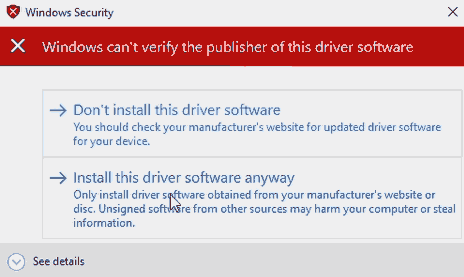 If there is a way to totally sign a driver without going through Microsoft’s Extortion Racket the proper channels I would be happy to hear it. For those who think I’m being a little tough on Microsoft, yeah, I kind of am. They are after-all making me re-write half of my blog entries because they want to table-flip the way users have been installing drivers for years now all for a few shreds of security. So it’s a little annoying. Return to Cyanogen Mod for Ouya. Anyhow. That’s all I have to say about Windows 10 ADB drivers and Ouya, you can go back to the Cyanogen Install and proceed happily with modding your Ouya. Here’s a Microsoft tech-net article dealing with Secure Boot. Many OEM companies like HP, Dell, Lenovo tend to enable this in order to make their laptops and desktops more secure. I didn’t include the instructions in the article because it’s dealing more with a BIOS issue of your mainboard and less with the OS itself. 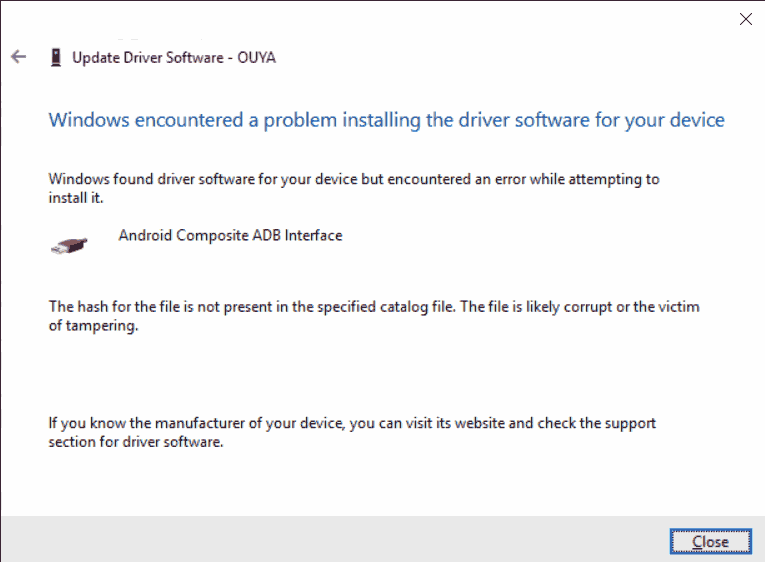 I am not getting “Android Bootloader Device” underneath the “Android Device” Catagory. I have repeated the steps again and again but nothing. What else can I do? I was having the same issue. To resolve it I changed the settings for AutoPlay. I’ve followed other tutorials where a need of more indepth computer knowledge is essential. I found your tutorial very easy to follow. Many thanks!!! Follow up on my previous comment. I went and booted the Windows 10 the way the previous comment describes and it worked. It gave no errors that aren’t part of it’s already “are you sure” flags. Anyhow, glad it worked out for you! Does this do the same thing? Seems like option 7.